I'm just back from a rather last minute trip to Vegas, teaching my Crowned Gems class at Art & Soul and wow...what a great time! It was my first time in Vegas and wow...what a city! When I first spotted this structure, my first thought was that it was under demolition. We had to cruise over for a closer look. Turns out, it's a clinic...for brain health...under construction, near an area of Las Vegas called Union Park. My second thought was "funny! Someone's idea of a joke!" It's ironic...no? Still funny! It looks chaotic to me...why not design a brain clinic with an orderly, soothing aesthetic rather than a faux demolition? It's actually supposed to represent the folds of the brain. But still...it really appeals to my artistic sensibilities. And really, it's so "Vegas." Nothing in Vegas is real...not even the grass. Amongst the lights, casinos and extravagant excess...we had a fantastic class. Thank you, ladies, each one, for making my time teaching so easy and enjoyable! I've got tons more photos of my Vegas trip that I'm hoping to share (we had such wonderful adventures) but, right now, I'm madly getting ready to teach at Adorn Me, here in Houston. I still have spaces in my classes...take a look here, to see. Oh, and you might want to check the weather when you come....yesterday, it snowed...in Houston...in the middle of February...for the second time this year! Does anyone find that odd but me?! Great news! I am pleased to announce that I'm officially a Certified Instructor for Susan Lenart Kazmer's terrific product Ice resin. What this means is that, if you've never used this resin, or are not familiar with it, I can help answer your questions about it. If you're looking for a certified instructor to teach the in's and out's of ICE Resin, contact me for more information. I've used other resin products in the past and, quite honestly, I can't say enough good about Ice. It dries crystal clear with fewer bubbles, less smell and it's non-toxic. For bezels and molding, there's none better and for paper it's outstanding, as well. It really is a superior product that I'm proud to represent. Make sure you check out the website...here...for articles, instructions, tips and inspiration. Oh...are you having fun blog hopping this week? Take a look at my Ice resin hop entry here and, if you'd like to join in it's not too late...check the Objects and Elements blog, here, for how to's. ...my 282nd commenter...Rachel Small. Thanks to Lisa, our intrepid leader, for putting on another terrific OWOH event! "A Magical Force" and "Worthy"
I've been having fun with layered necklaces lately and wanted to create two pieces, with Ice resin elements, to go together. These pieces were designed to be layered together but are divine separate, as well. For the bezels, I used some solid back, brass bezels, similar to the ones in this assortment. I set them with prints of my own photos then poured the resin. One of the many things I love about Ice resin is that it's a breeze to drill through. If you're name isn't listed above, you can still join the hop...post a photo of your work and leave your link in the comments section of this post. Have fun hopping the links, soaking in the creativity and leaving comments! "Thou only hast taught me that I have a heart. Thou only hast thrown a deep light downward, and upward, into my soul. Thou only hast revealed me to myself; for without thy aid, my best knowledge of myself would have been merely to know my own shadow--to watch it flickering on the wall, and mistake it's fantasies for my own real actions. --till the heart be touched." This quote appears at the beginning of the book "Mr Bridge" by Evan S. Connell, Jr. For Mr. Bridge, these words conjure thoughts of his relationship with his wife. For me, they are more than romantic...they are a prayer of thanksgiving. They are revealing of the power of faith and love. They are a reminder that, left to ourselves, we are tempted to love only ourselves. In fact, we were meant to be so much more than that. Our capacity for love is largely untapped until that strong, bright light is shone into our deepest hearts, and sparks life in our souls. Get out your cups, stirring sticks and Ice resin and join me for the very first, Objects and Elements, Blog Hop. Monday, Feb. 15, post photos of what you've created with Ice resin and pass on the link love. Jen is running the hop and will be giving something wonderful during that week. Check out the rules here and look for some fabulous creations on Monday! Coming up quick! There's still time to register for my Crowned Gems class at Art & Soul, Las Vegas, February 21. This is going to be a terrific class, not to mention the fact that it's in Vegas. Vendor night will be Saturday and I'll be teaching on Sunday. March brings an exciting, first time, event here, in Houston...Adorn Me. This is an all jewelry event, put on by Linda Young of Art Unraveled. I'm so excited about this venue! The teachers and workshops being offered are outstanding. I'll be teaching my resin papers class Clear Applications Paper Glazing, Tuesday night, March 2...using ICE Resin. I love resin paper for all kinds of things, including jewelry making. 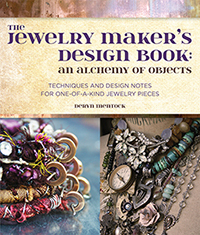 Thursday, March 4, will be my Clear Applications Jewelry class. In this class, I'll show you ways to use your resin papers in jewelry pieces. These classes can be taken independently of each other...you don't have to take both. There will be plenty of technique to learn in both. I'm teaching JouJou Charm Keeper on Saturday, March 6. This class is absolutely loaded with techniques and tips and is a lot of fun. It's one of my favorites to teach. My Secret Garden Birdcage necklace class is Sunday, March 7. I'll show you how to create a lovely, wire birdcage which makes the perfect focal for jewelry. In April, I'm teaching at an all new retreat called Shady Ladies Altered Art Retreat, in Salado, Texas. This retreat is going to be so much fun! Salado is known as "the best art town in Texas and I know there are antique stores and galleries to be seen. Wrapped in Silk Bangle Bracelets will be Saturday, April 24. Winged Things will be Sunday, April 25. Both of these classes were created especially for this venue and were designed so that students should be able to walk away with some finished pieces. I hope you'll consider joining me at one of these venues for some creative time together! The lovely Rebecca Sower has such a heart for the Haiti. She's begun a venture called Haiti by Hand. Rebecca's desire is to feature and support the Haitian people. She's opened an Etsy shop offering gorgeous, handmade goods and artwork, with sales going to Haiti. In that spirit, I've offered this pair of my handmade earrings for the Haiti by Hand shop. Now that Haiti has dropped from the headlines, it's even more than ever to show our generosity and support. Take a moment and take a look at Rebecca's Haiti by Hand sites. You'll be blessed by Rebecca's kind spirit! Take a look, inside, at Ronna Sarvas Weltman's contribution on the subject of social media in the art world. She's one of my favorite SBSWJ writers and I was thrilled when she asked me a few questions for her article. And, check that cover by Linda Larsen! With Valentine's day on the way, I seem to be having an unusually strong urge to work with hearts. It's not really like me! But, there you have it. This French paste rhinestone heart is way to gorgeous for photos. I just couldn't capture it's sparkly goodness. I wanted the heart to take center stage so I paired it with a lovely strand of teeny, tiny blue seed pearls and a small, vintage rhinestone clasp with crystals and a faceted pearl in the back. It's the perfect piece for layering. I'm seriously in love with this one! I have only two of these wonderful rhinestone stars...dug up in an antique shop. I have a passion for sacred hearts. This one comes with it's own little, antique magnifying glass for seeing the details. The Apostleship of Prayer was originally formed in 1844 to promote the practice of prayer. Sometimes, I'm lucky and find these scapulars with Jesus on one side and a sacred heart on the other. Do you recognize this guy from this post? Well, messy me, I got a tiny dot of ink on that pink silk and, being the perfectionist that I am, had to replace the silk. Once I started, I got a little carried away and re-worked it a bit. It's such a better piece of jewelry, now...longer and more shimmery and, again, great for layering. Not only did I add strands of sparkling rhinestones, to replace the silk, but I added this incredible, antique Italian crucifix. The relic is old...St. Francis Xavier and St. Vincent Ferrer. Saint Francis Xavier was known for his missionary travels, apostolic zeal and many miracles. He preached the gospel of Christ in many, many places and converted many unbelievers. Saint Vincent Ferrer was also a missionary who traveled western Europe for many years and eloquently preached the gospel. He thought of himself as a messenger of penance, sent to prepare men for their judgment. I've mentioned before, on this blog, that I'm not a believer in the power of the saints (or relics, medal, etc.) on their own. But, I do believe that people are given power, through faith. I love the holy strength and power of belief that the saints represent. Lucky me to get hold of these silver heart and hand pieces, from France. They melded perfectly into this necklace. As did these raspberry, faceted pearls and baroque pearls from my last post. The quality of these baroques was very nice. So, there you have a few things that delight my heart, put all together in the form of jewelry. If you'd like to see more of my Valentine's day line of jewelry, please check out my Etsy shop...here. xxoo! Check out Rebecca Sower's "Heart Sessions" for more heartfelt inspiration!